D'oh! You missed the class! 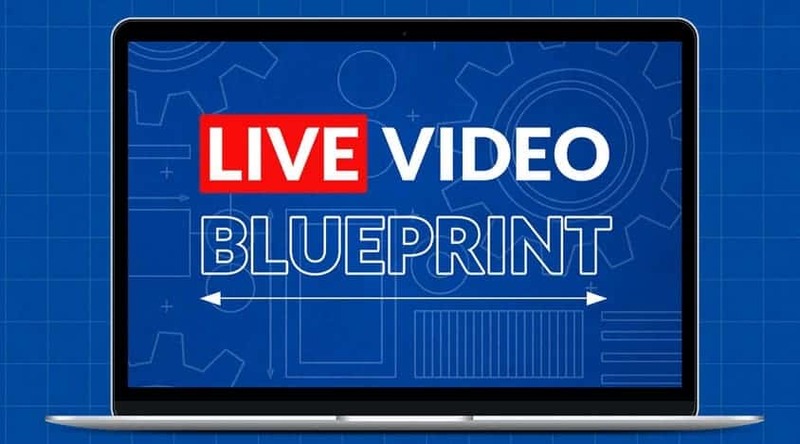 LIVE Video Blueprint will open again for enrollment soon! Everything you need to create LIVE Video that looks Professional and is full of your personality! Whether you've never gone LIVE, or you already go LIVE regularly, you'll grow your audience and grow your business! Don't just learn... we'll walk you through taking ACTION on what you learn! The Step-by-Step TRAINING you need to use LIVE Video strategically to STAND OUT from the crowd, and GROW YOUR BRAND so you can HELP MORE PEOPLE! NOT GETTING THE VIEWS & GROWTH YOU EXPECTED? Stop the Overwhelm & Increase Your Results! LIVE Video can be a super powerful and engaging form of content and marketing for your brand! But maybe you're stuck on the tech, and it's overwhelming... or maybe you're just not seeing the views and growth you expected. Let's put a STOP to the frustration, and START seeing results! "I've been amazed at the knowledge and experience Luria has! When she explained her strategy plan to me, I thought "that's just so good"! It's very eye opening in terms of how to approach LIVE Video. Create LIVE Video that looks Professional whether you're using nothing but your phone... all the way up to a TV quality studio! Create engaging content that people want to watch (even if you don't know what to say)! Deliver maximum value and get engagement! Grow your audience to get more views and evangelists! Proven Promotion techniques that drive more LIVE and replay views. Bring in revenue in various ways through LIVE. Sell without being salesy. Or do a LIVE Launch. The choice is yours! I’ll help you decide on your Tech Setup, Content Strategy, Promotion Strategy & Monetization Strategy. From there, everything else will fall into place! The Planning Phase kicks us off, then you’ll go deep into Creating and Delivering Engaging Content, Repurposing your Content so you get a bigger impact to your growth, Growing Your Audience and Monetizing your LIVE streams! You'll TAKE ACTION on each of these steps AS WE GO so you're creating as you're learning! We don't leave you hanging! You'll have the support you need to take action on what you're learning! Get access to this private community where you can get daily support and encouragement! Use this group to practice before you go LIVE publicly! This trusted group of friends will help you get comfortable and confident with your delivery on camera AND your new tech! It's so helpful to have the support from people who've been there, done that... and who are going through the same process you are! This will be your path to success! "We increased engagement to over 800+ comments per episode, quickly went from 20 simultaneous viewers to over 100 viewers and we blew past capacity for a program launch in just 3 days of LIVE Video promotions!" The Complete System to Start, Grow & Monetize Your LIVE Videos in 60 Days! Click on each week below to learn more about the program curriculum. Best. Launch. Ever. All thanks to LIVE Video! For 12 years, I’d launched the same product and hit the same cap on enrollments each time. 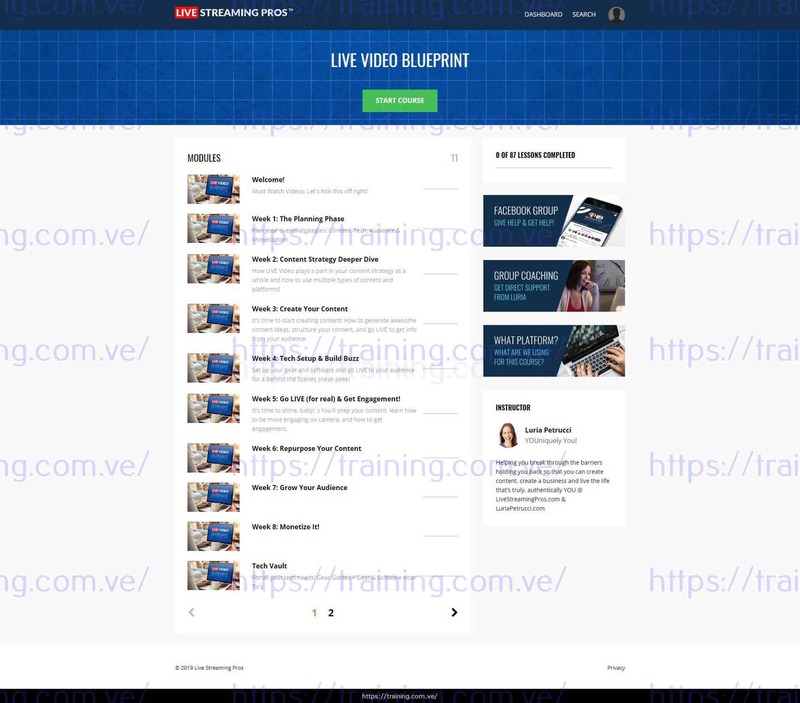 This last year I used Luria’s LIVE Video Promotion & Sales Strategies in her course. One LIVE Video brought in $8500, and the launch totaled an 18.7% INCREASE in front end sales, and a 215% increase in upsells! Grow your audience by appearing on other people's LIVE shows, podcasts, etc and build immediate trust! Book great guests for your show (with any size audience!) & conduct more impactful and valuable interviews! Create higher converting webinars with a visually stimulating and more engaging webinar experience! "After only 2 weeks of implementing Luria's strategies, we're seeing MASSIVE ENGAGEMENT and GROWTH! Luria is such a great teacher!" I've been doing LIVE Video for 12 years and have experience on every level. Oh... and that's Abbey the Chihuahua. She loves LIVE! From my home studio building a community of 2 million followers and racking up 4,000 videos with 1 Billion Views.... to high pressure super professional streams working with Panasonic, Samsung, AT&T and more. All that from a shy girl who never wanted to be in front of a camera. I'd LOVE to share all this knowledge with you and help you achieve your goals! If I can do this... you can do it!!!! You want to use LIVE Video to grow your audience and build a Community! You want to have a deeper connection with your audience that lasts longer than a single interaction! You know you have something unique to offer and want to grow your audience so that you can impact more people! You're willing to put in the work to get the results! Hey... nothing worth doing is super easy, but we'll show you step by step what you need to do to get results! You're willing to step outside of your comfort zone! You can't reach your full potential by playing small, and now you have hundreds of new friends to support you! If you want to get fancy numbers without building a true, lasting community, this program isn't right for you. The best thing about LIVE is the CONNECTION you build with your audience. If you hate people, this program isn't right for you. If you want BIG results TOMORROW, you're going to be disappointed. Nothing gives you instant results without spending time to nurture, care and build. "Luria and David helped me create my biggest money making income stream using LIVE Video!" Is this program LIVE? Can I ask questions or get support? What exactly do I get access to? What kind of time commitment will it take? Can I pause the program if I get busy?